First Czechoslovaks in the Soviet Union that received their weapons in 1942. Otakar Jaroš can be seen saluting to the commander. The Battle of Sokolovo was the first engagement of Czechoslovak forces on the Eastern Front during World War 2. 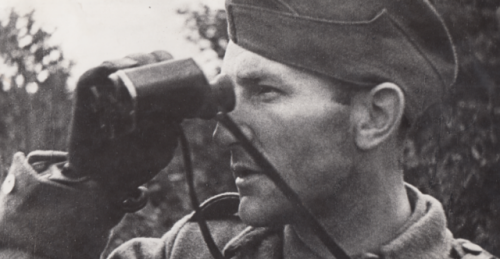 With it, the Czechoslovaks became the first foreigners to join the Great Patriotic War. First Lieutenant Otakar Jaroš became the first foreigner to receive the highest Soviet decoration: the Golden Star of the Hero of the Soviet Union. The Czechoslovak antifascist resistance during World War 2 was organized by the Czechoslovak exile government in London. Czechoslovaks fought on the side of Allies in the Battle of France, the Battle of Britain, the Siege of Tobruk, and the Siege of Dunkirk from 1944-1945. Two-thousand five hundred Czechoslovak aviators defended Britain in the ranks of the Royal Air Force and took part in the Battle of the Atlantic as well as Operation Overlord. Czechoslovaks also defended the skies in Africa and Palestine. They fought as partisans in Yugoslavia and led the Slovak National Uprising, the Prague Uprising, and they also fought in the Warsaw Uprising. One of the most significant chapters of the Czechoslovak antifascist resistance took place on the Eastern Front, where Czechoslovaks helped liberate parts of Ukraine, Poland, and their homeland. After Czech lands were invaded by Nazi Germany in March 1939, antifascist Czechs and Slovaks were leaving their homeland for Poland, where they became the only foreign force that assisted the Poles in resisting Nazi Germany’s 1939 invasion of Poland. The Soviet Union occupied a share of Poland as it had agreed with Nazi Germany. Some of the Czechoslovaks decided to go to Romania and they made it to the Middle East. Meanwhile, another part went east, surrendered willingly and became the Soviet captives. As the Soviets were officially on good terms with Nazi Germany at that time, they were obliged to inform them about the Czechoslovak captives. But instead, they moved the Czechoslovaks far away from German eyes and allowed them to train and prepare themselves for what was to come. In 1941, the Soviet Union was invaded by Nazi Germany. This struggle would go down in Soviet history as the Great Patriotic War. Czechoslovaks in the Soviet Union demanded to be allowed to fight on the Eastern Front. However, the force did not have large numbers yet, and military units were often quickly annihilated on the Eastern Front. The Czechoslovak exile government in London and the Soviets themselves understood that there would be a time and a place for everything in the future. 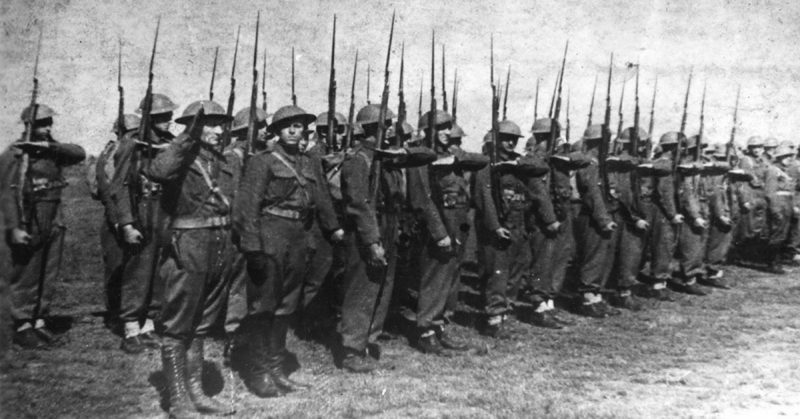 After Czechs, Slovaks, and Rusyns were released from captivity and Soviet citizens of Czechoslovak origin were allowed to join the forces, they formed the 1st Czechoslovak Independent Battalion. They received their battle flag in January 1943. The newly promoted Colonel Ludvík Svoboda (“svoboda” meaning freedom in the Czech language) would lead his unit to battle. As a result, the battalion was also called Battalion Svoboda. 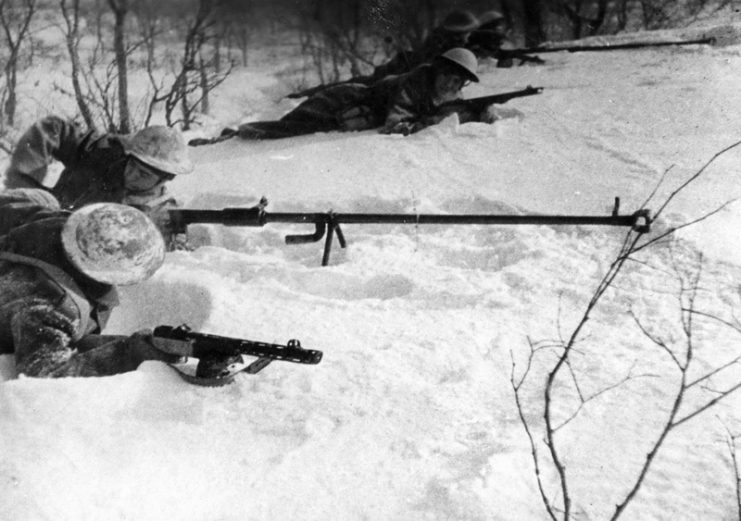 As Battalion Svoboda was heading to the frontline, the Red Army finally defeated the German 6th Army in Stalingrad. The frontline rapidly moved westwards. Czechoslovaks insisted that they shouldn’t be deployed in a quieter part of the frontline because they wanted to fight Germans — not Hungarians, Romanians, or Italians. Red Army forces entered the coal-rich Donetsk region of Ukraine. They liberated the city of Kharkov and the town of Kursk, but after that, they lost steam and overstretched their capabilities. They also ran into a German counteroffensive supported by the elite SS Panzer Corps, sent to the Eastern Front from France. The SS Panzer Corps consisted of the SS divisions Adolf Hitler, Das Reich, and Totenkopf. They would join up with the Motorized Infantry Division Grossdeutschland and other forces that were already near Kharkov. The Battle of Sokolovo would become part of the Third Battle of Kharkov. The 969 Czechoslovaks had to walk more than 350 kilometers (217 miles) due to the destroyed railroad system. They managed to get to Kharkov on the 1st of March 1943. The march took them just ten days, even though they could only be on the move at nighttime to stay safe from aerial attacks. The Czechoslovaks could see lands that had been devastated by war and fascist brutality. Men, women, and children had been hanged from trees or burned alive in houses. They saw mutilated corpses, children thrown into wells or murdered with grenades, and so on. Such scenes left a lasting impression on these men from Czechoslovakia. The Czechoslovaks had their own score to settle with the Germans because Nazis had wiped out the village of Lidice along with the settlement of Ležáky and murdered 5,000 Czechs. 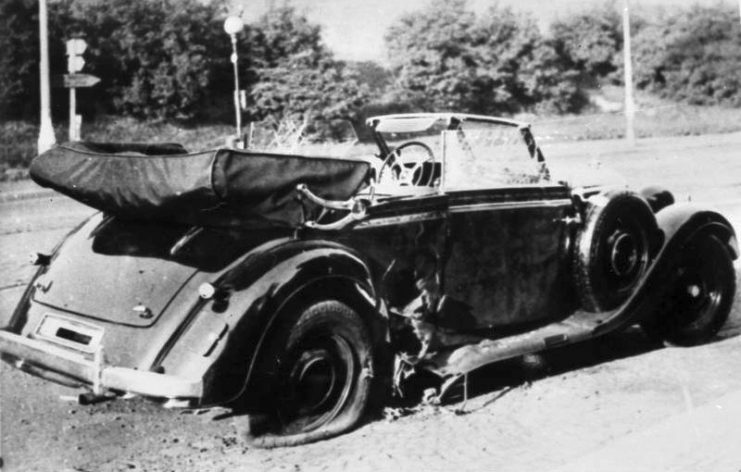 This was after the Czechoslovaks had successfully carried out Operation Anthropoid and executed the third highest-ranking Nazi, the war criminal Reinhard Heydrich. 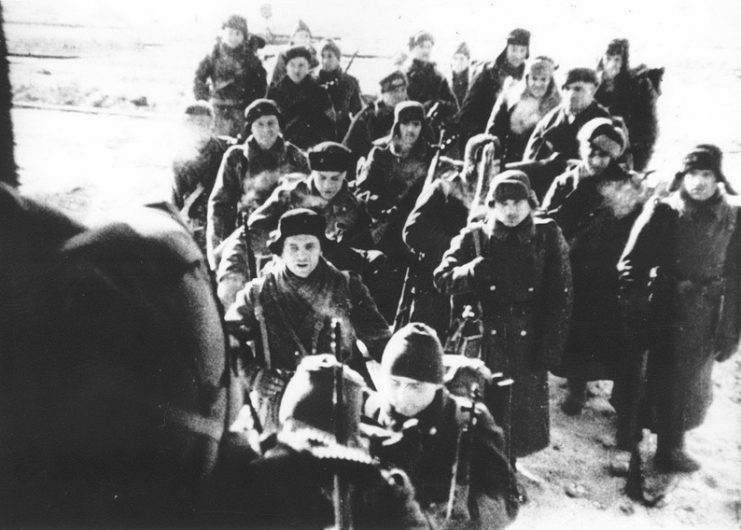 The Czechoslovaks were supposed to rest in Kharkov for four days, but as the situation on the frontline changed dramatically, they were ordered to move after just one day of rest. They were instructed to quickly build defensive positions and defend a 15-kilometer-long (9-mile-long) section of the frontline south of Kharkov. The line stretched between the villages of Artukhovka, Mirgorod, and Timchenkovo. The goal was to prevent the enemy from passing the Mzha River and advancing on Kharkov from the south. 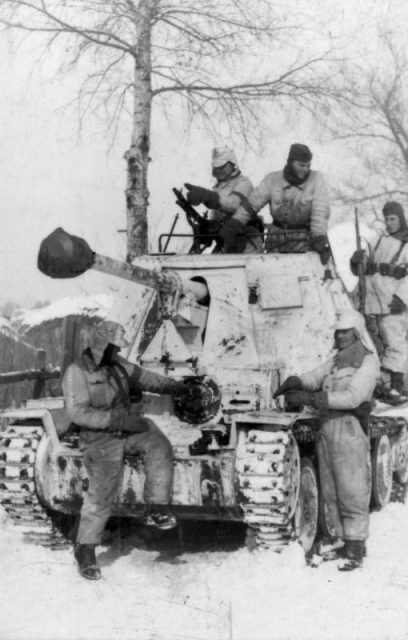 The Mzha River was frozen and thus passable by German tanks. So, a defensive line along the river was to be established. There was to be a salient around Sokolovo, a village with higher ground west of the river, which would be defended by one company. The frontline was not far away. The Czechoslovaks could hear the heroic fight of the 78th Guards Rifle Regiment that was defending the approaches to Sokolovo in Taranovka. The Soviets knew that the Czechoslovaks needed time to prepare their defenses, so they had to sacrifice their lives to give them at least a chance. Twenty-four men from the Rifle Regiment’s 1st Platoon of the 8th Company were defending the railway station in Bespalovka until the 7th of March 1943. During that time, they destroyed 16 enemy tanks. They retreated only when 19 of them had died and the remaining five were wounded. 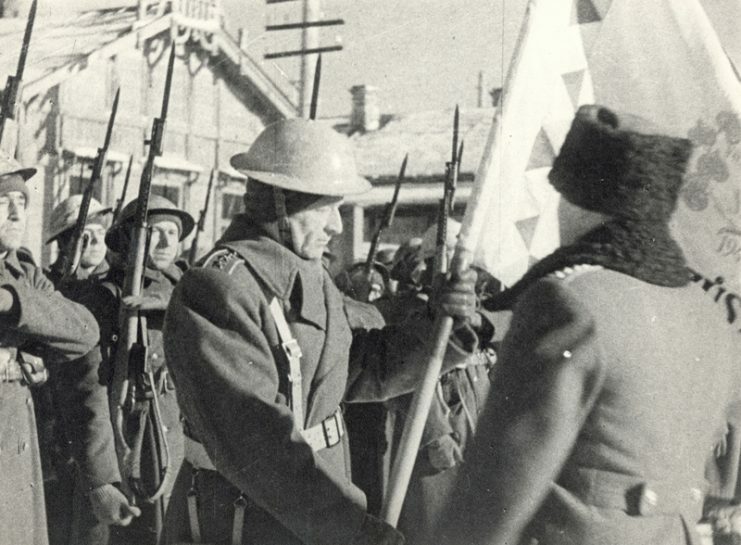 All the defenders of Bespalovka were awarded the highest title, the Hero of the Soviet Union, together with their commander, Lieutenant Piotr Nikolayevich Shironin. 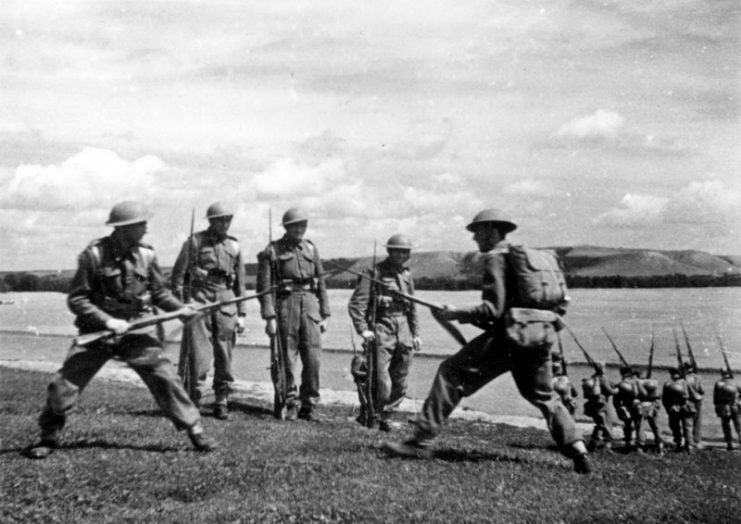 Having performed reconnaissance of the next defensive line, the Germans discovered that in front of them were units wearing British uniforms. So they thought that they were most probably facing elite British units that had, surprisingly, appeared on the Eastern Front. In fact, the Czechoslovaks had gotten their uniforms from Polish soldiers that left the Soviet Union and fought on in Africa and Italy. After the length of training Battalion Svoboda had received from the Red Army, it was truly an elite unit. However, it was not British and had no combat experience on the Eastern Front yet. The defense of Sokolovo fell to the 1st Company commanded by First Lieutenant Otakar Jaroš. The Company had 350 men, four 45mm anti-tank cannons, a battery of 76mm cannons, 12 Simonov anti-tank rifles, six heavy machine guns, 24 light machine guns, three 82mm mortars, three 50mm mortars, and one half of the platoon were submachine gunners. Approaches to Sokolovo were mined. The Soviets deployed the 76mm artillery battery and Katyusha rocket-launcher detachment behind the Mzha River. Ten T-34/76 medium tanks waited in reserve behind the river to stop a potential breakthrough in any part of the Czechoslovak section of the frontline. The Battle of Sokolovo started on the afternoon of the 8th of March 1943, when German tanks approached Sokolovo. They were performing reconnaissance-in-force, but after Soviet artillery bombardment, the tanks retreated, leaving three smoking wrecks behind. However, the Germans had been sneaky and used smoke grenades to fake the destruction of their three tanks. Some of the crew members stayed inside the vehicles and aimed their guns on the most important anti-tank targets. Two hours later, 60 German tanks, up to 20 armored vehicles, and a mechanized infantry battalion attacked Sokolovo with its one Czechoslovak company from three directions. The three tanks left behind started attacking the anti-tank guns and destroyed one 45mm anti-tank cannon. The fighting continued. Soldiers were throwing grenades, Molotov cocktails, shooting their anti-tank rifles, and firing from machine guns and rifles. The numbers of dead and wounded were rising on both sides. The company commander, Otakar Jaroš, received shrapnel to his head. Despite that, after two hours of fighting, he organized a circular defense around the church in Sokolovo. 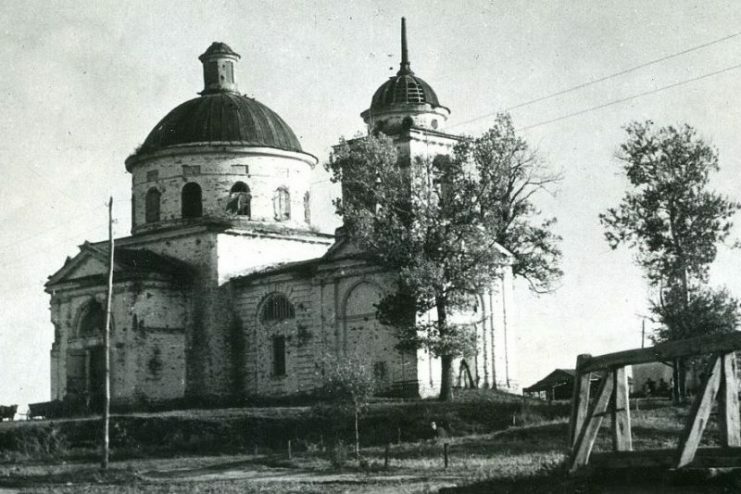 Germans were advancing through the main street towards the church which was filled with wounded Czechoslovaks. The situation became hopeless. Otakar Jaroš was wounded again then killed in action while throwing anti-tank grenades. 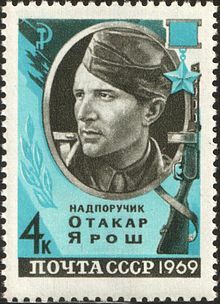 For his heroism and command of the defense, Otakar Jaroš was awarded the title of Hero of the Soviet Union in memoriam. He was the first foreigner in history to receive such an award. He was posthumously promoted to the rank of captain. The 1st Company could not be supported by the ten Soviet tanks waiting in reserve because the melting ice meant that the Mzha River would not support the weight of the tanks. Communications with the 1st Company were cut off. After several attempts by the staff at headquarters to contact them by messengers failed, the Company finally received the message to retreat behind the Mzha River. The fighting ceased only when night fell. At that point, the Czechoslovaks retreated behind the river. By not letting the Germans past the Mzha River, the Czechoslovaks won a defensive victory. The Germans used flamethrowers to set the remaining houses on fire. The few captured Czechoslovaks were murdered. Their bodies were mutilated and exposed on a hill for all of their comrades to see. German brutality led to fierce Czechoslovak counterattacks, so the Battle of Sokolovo raged until the 13th of March 1943. 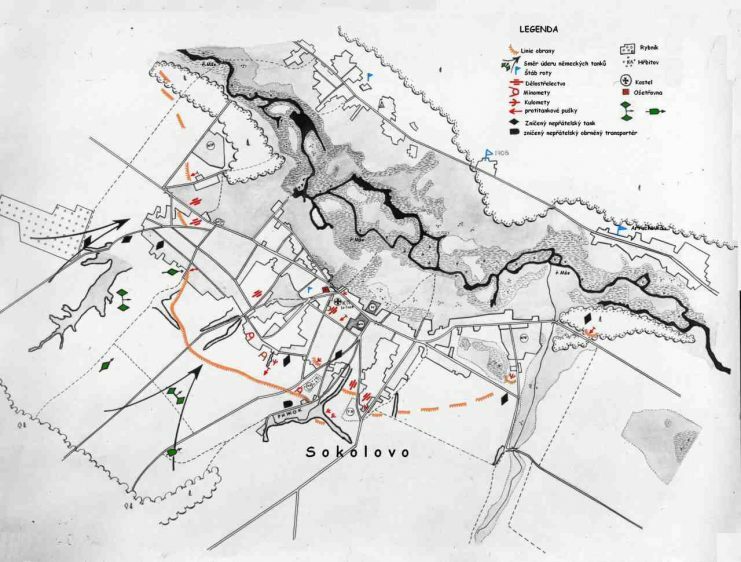 On that date, Battalion Svoboda was ordered to retreat from the Mzha River because Germans had broken through Red Army positions and threatened the Czechoslovaks with encirclement. The Battle gave rise to many Czechoslovak heroes. 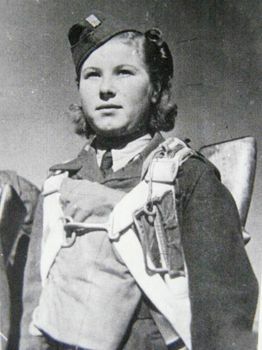 The 22-year-old Marie Ljalková took part in the counterattacks as the first female sniper in Czechoslovak military history. She was credited with five kills while advancing in the first rows. 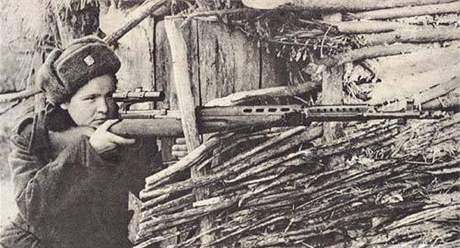 The second Czechoslovak female sniper, the 17-year-old Valentina Biněvská, was acting as a spotter and nearly froze to death because others forgot about her. Battalion Svoboda suffered 260 casualties (25% of the total strength) in the Battle of Sokolovo, including 86 killed in action. The Germans murdered 26 Czechoslovak prisoners of war. Furthermore, when they entered the city of Kharkov, they murdered injured soldiers who were unable to escape from the hospitals. The Czechoslovaks managed to destroy 19 enemy tanks and up to 6 armored vehicles. They inflicted at least 300 casualties to the enemy. Most of the tanks were destroyed by anti-tank rifles and anti-tank grenades. Ludvík Svoboda became a key Czechoslovak figure on the Eastern Front. He later led the 1st Czechoslovak Army Corps. During the Prague Spring of 1968, he became the President of Czechoslovakia.